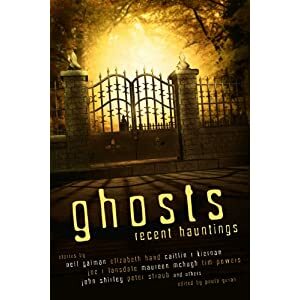 I noticed several other contributors announcing the receipt of their copies of Ghosts: Recent Hauntings yesterday. I also know that all mail coming here has to pass through the city PO before it’s sent off to the outposts, which adds a day’s delay, so I was reasonably sure that my own copies were waiting for me at the PO Box today. Sure enough. My story’s in here somewhere. 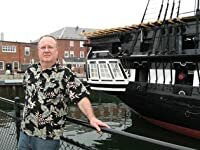 Let’s see… Neil Gaiman, Elizabeth Hand, Jeff Ford, Tim Powers, John Shirley, Peter Straub, Joe R. Lansdale, James Van Pelt, Nisi Shawl, Ekaterina Sedia, Steve Rasnic Tem, Melanine Tem, Sarah Monette, Maureen McHugh, Margo Lanagan…ah! There it is, “The Plum Blossom Lantern.” Nestled safely(?) between John Langan and Stephen Jones. Paula Guran’s managed to collect quite a few talented people in here. Not sure how I managed to sneak in, but it’s too late to check tickets now. Well, whether I deserve it or not, that story does. It’s one of my favorites of my own ghost stories, and I’ve written quite a few. See what ya’ll think. And you might as well read the rest of those guys while you’re in there. Just sayin’.